The event has been specially designed by Al Fahim Group’s Western Motors, in collaboration with their sister company Eastern Motors, for Jeep enthusiasts to showcase their skill behind the wheel in a safe and competitive environment. This year’s Jeep SRT drag race saw 30 Jeep Grand Cherokee SRT drivers create a night full of captivating and enthralling entertainment as they astoundingly sprinted their 5,100lb vehicles down the ¼ mile drag strip at speeds in excess of 100mph. The competition was split between two categories, ‘stock’ and ‘modified’ to level the playing field between stock Jeep competitors and those who have applied extra modifications to their vehicles. The winner of the stock category was Waleed Al Housani, where he raced over the 1/4 mile stretch in 12.7 seconds and earned himself the latest smartphone in the market. The winner of the modified category, Salem Belal Mubarak, was awarded with the same prize after achieving a ¼ mile time of 10.4 seconds. Ismaeel Hassen, Western Motors General Manager said: ‘We love holding this event for the Jeep community; it’s a big thank you to them as well as a great chance to witness the amazing performance from the new range of Jeep vehicles. Each year this event gets bigger and better; motorsports are ever increasing in popularity in the UAE and we hope to continue this fantastic event for years to come. I’m already looking forward to our 2017 competition’. ‘The Jeep SRT Drag Race competition advocates and actively supports road safety. We’re delighted to be able to give talented Jeep drivers a platform to perform, but we also use this as a chance to elaborate on the importance of leaving drag racing on the track’, added Mohammed Mahmoud, Manager and officially representative of Western Motors. Entertainment was in abundance for spectators, with a live DJ performance and MC to add to the motor-spectacle. 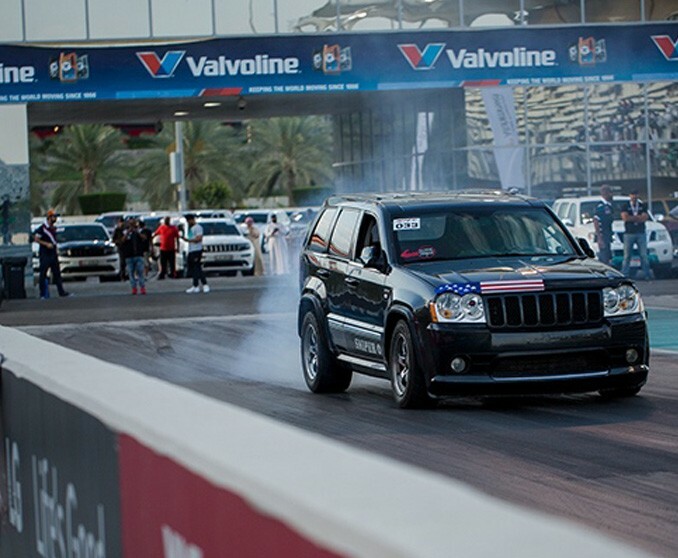 Guests can expect plenty and more from the Jeep SRT Drag Race in the future, in line with the Al Fahim Group’s strategy to always put the customer first and build on the growing success of the event.